In a.d. 53 the apostle Paul approached the city of Ephesus. He was traveling along a major Roman road known locally as "the common highway." Leaving a broad plain, the highway mounted a ridge, and from its top Paul caught the first glimpse of his destination. The city of Ephesus was hidden behind a wall seven meters high, but from the ridge Paul could see the Artemision, the temple of the goddess Artemis (also known as Diana), which lay just south of the city proper. The great and glossy magnificent temple, its columns glowing in the light of the sun, was hailed even in that day as one of the seven wonders of the world. The Artemision was an appropriate possession of the city, for, in the first century, Ephesus was the third most prominent city in the Roman Empire. Ephesus boasted a quarter of a million inhabitants. The city sat astride important land and sea trade routes, and was both the economic and religious center of the province of Asia. Ephesus was also the destination of thousands of religious pilgrims who flocked to the city each year to worship the goddess and seek her aid. In the first century, most people were well aware that the spirit world is real, and believed it to be occupied by a variety of spirits. There were spirits of the dead. There were spirits of the heroes of old. There were spirits who were gods and goddesses. And there were demons . . . evil spirits. All these spirits were believed to interact with the world of men and to have impact on the living. Everything�success in business, in love, in athletic competitions, even in one's health�depended on whether the spirits were pleased or displeased with an individual. And the spirits were at best capricious. None really cared about a human's welfare; any spirit was more likely to harm a person than help him. The best anyone could do was to make offerings to placate possibly angry or hostile spirits, or resort to magic to try to control them. First-century Roman writer Plutarch notes that the sorcerers of his time advised those who were demonized to "recite and name over to themselves the Ephesians letters." These "letters" were six supposedly magic words that were written on separate pieces of leather, and could be shuffled and recited in differing order. If one order of the six words did not work, perhaps another order would for even sorcery was not reliable. armed with strategies devised by Satan himself. Strikingly, modern beliefs about the spirit world mirror the beliefs of the first century�notably that entities in the spirit world exert powerful influence over one's personal life. These entities include the spirits of dead relatives, of individuals from ancient times, of gods and goddesses, of angels and demons and even of spirits of animals (totems). the door to demons�for the spirits that modern pagans seek to contact are what the Bible identifies as demons! If Paul visited a modern American church, he would find that most Christians are completely ignorant of what is happening in our culture. He would also discover that most Christians have no idea of the impact the spirit world has on our lives�even for good. Oh, most of us assume that there are such things as guardian angels. But we are totally unaware of how angels might minister to us. Paul would also learn that few Christians today take demons seriously. If pressed, most of us would say that we believe that Satan exists and that demons probably are real. But the notion that demons might be the cause of many of our spiritual, emotional and even physical problems is totally foreign to most of us Americans. And this is not surprising. Satan today tends to operate behind the scenes in our culture, rather than in the open, public conflict that occurred in Ephesus. Recognition begins when we understand that real spiritual warfare takes place within the hearts and lives of individuals. Satan operates what Paul calls "schemes." These schemes, or strategies, are designed to cripple believers and to make them miserable and ineffective. Demons are always looking for an open door through which they can enter to oppress and cripple believers. Thus, chances are good that there are areas in every Christian's life where demonic oppression is robbing him or her of the freedom believers are intended to have in Christ. This is a struggle that we need to win if we are to be all that God intends us to be. It is a struggle that we can win . . . if only we understand Satan's schemes, and put on the armor God provides for us. 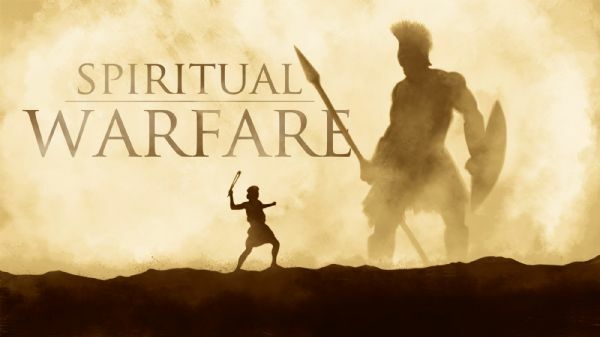 The trials and challenges of this life will thoroughly train you in spiritual warfare as you focus on living to glorify the Lord Jesus Christ.